Raggio & Dinnin, P.C. is a firm founded upon decades of experience in protecting clients' intellectual property. 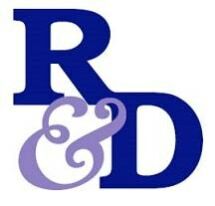 The founders, Michael R. Dinnin and Robert A. Dunn, were partners with over 30 years of combined experience in one of the largest intellectual property organizations in the Midwest before founding the firm in 1990. Our firm continues to grow and continued growth is anticipated to meet the clients' needs, but only through the addition of talented, technically trained individuals that will maintain the quality of work associated with the firm. The firm of Raggio & Dinnin, P.C. is fully computerized and can conduct patent and trademark searches through a variety of databases, including DIALOG , LEXIS , WESTLAW and other patent and trademark databases (foreign and domestic), as well as a wide variety of technology-oriented databases (including foreign databases from countries such as Japan and the former Soviet bloc countries). Our computer databases also include a wide range of financial, business and market information, including the full Dun & Bradstreet libraries. The firm also subscribes to a variety of informational databases and legal research databases. We have recently added a new phone/data system including a T-1 line to better serve our clients and to better handle the volume of data transmissions. Although the firm has an impressive arsenal of computer databases at its disposal, it is often more cost-effective to have searches manually conducted at the U.S. Patent Office in Washington, D.C.